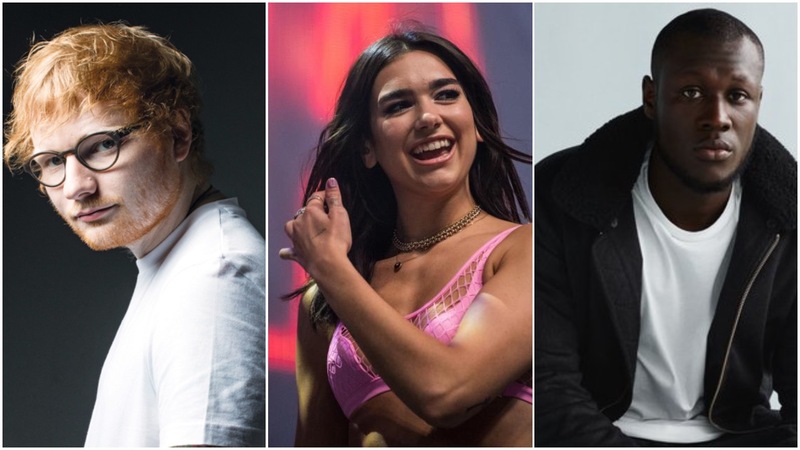 Dua Lipa and Ed Sheeran are amongst those nominated for the 2018 Brit Awards, as revealed in tonight’s pre-ceremony show. The prestigious award ceremony honours British talent in the music industry, with this year’s show taking place on Wednesday 21st February at the O2 Arena. Jack Whitehall will present. Leading the nominees is 22-year-old Dua Lipa, who will contend for five awards; Best Solo Female, British Breakthrough Act, Best Single and Best Music Video (both for ‘New Rules’), and the biggest honour of the night – Best Album. Competing against Lipa’s self-titled debut is J-Hus‘ Common Sense, Rag’n’Bone Man‘s Human, Stormzy‘s Gang Signs & Prayer, and Ed Sheeran‘s record-breaking ÷ (Divide). Unsurprisingly, Sheeran is also nominated for Best Male, Best Single (for ‘Shape of You’), and Best Music Video. The pre-show ceremony, which aired on ITV this evening, also gave out the first Brit of 2018, awarding Jorja Smith with the honour of Critics Choice Award – tipping her as a big thing for the upcoming year. The Brits will air on ITV, live from the O2, on Wednesday 21st February. Dua Lipa, Ed Sheeran, Stormzy and Sam Smith are amongst those performing on the night. Check out the full list of nominees below.